Determining and defining requirements, analysis and development of strategies and processes, strategic change management, and consulting based on sound business and technical knowledge for the business-specific and risk-adjusted protection of architectures and systems. The procedures we use are based on established best practices and standards, such as ITIL, MoR, CobiT, various ISO norms, BSI basic protection, and PRINCE2, as well as our own custom procedures – the canacoon Consulting Practices. We take into account both recent experience and business factors to achieve optimized, tailored results for and in the interests of our customers. The canacoon Consulting Practices are value-oriented, risk-aware, and have a solid foundation in technology. Our services range from performing analyses, consulting, through implementing solutions and designs. Through the analysis of your business and IT processes, we identify security risks – from a technical and an organizational perspective. 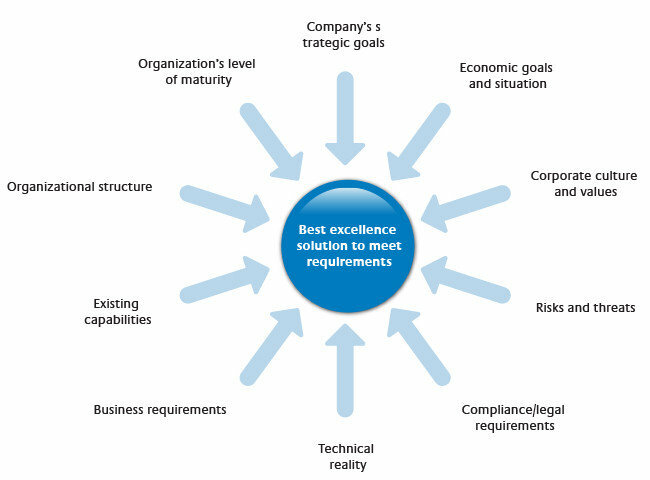 We provide best excellence consulting based on soundly gathered facts to support your goals. We create a sustainable security culture and individually tailored information security at your company.